Everybody likes a good report and, in the right hands, a good report can be a tool for positive business change. At Endless Mountain Solutions we know reports are powerful but we also know misrepresentation of data in reports can be devastating. In addition, if the report is not adaptable it will be quickly dropped as a valuable resource. In today's fast-paced market, reports can also be outdated in a matter of hours. So how can you avoid these pitfalls? Endless Mountain Solutions offers your company integrated reports, avoiding these common pitfalls, and empowering you to run your business. 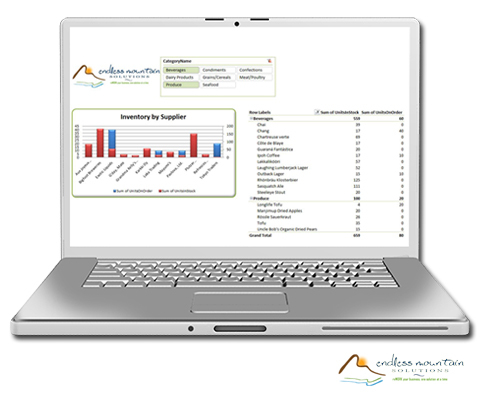 Let Endless Mountain Solutions create a custom management dashboard for your company and see how effective reporting can really be. We can offer you a wide range of solutions allowing your management team to view your data in real-time. With a custom dashboard, your company will be able to apply filters and view your data as you need. We design your management dashboard with answers in mind. By understanding your business, we can ensure the dashboards answer the questions you are asking. So you really can have all the power of graphs, charts, and statements that are easy to read and understand. Your managers will be able to see what they need, when they need it, and how they like to see it. 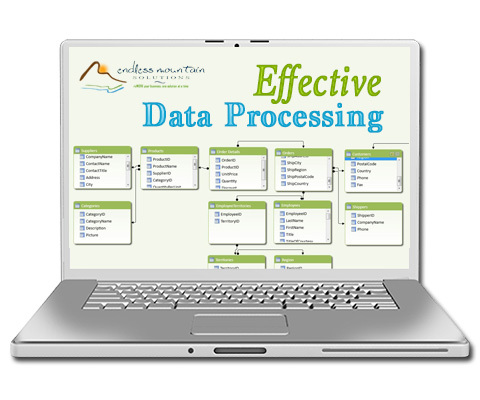 The end result will be better and faster decision making based on more accurate, precise, and efficient reporting. Block Imaging International manages a lot of information, from the clients they work with to the equipment they move, there is an abundance of electronic data. With the migration of the business software onto SAP, the data became very structured and even more valuable. However, the dilemma was how to tap into this data source and be able to extract the business intelligence that could help Block Imaging International make strategic moves for the future. Asset management and access to history is important to the Rome Township. Knowing when an item has been installed and serviced last helps dictate future work. In addition, this information is very valuable when preparing documentation for federal or state grants. Using this information also provides Rome Township the ability to best assign workloads for their employees. With their oversight of roads, culverts, and bridges, they have a lot of assets to manage. 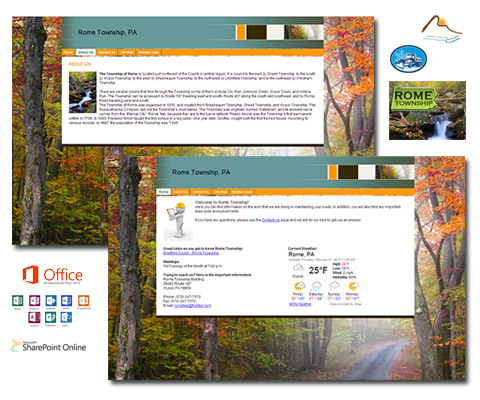 Endless Mountain Solutions worked with Rome Township to determine the best collaborative environment for their team, one that would allow them the flexibility to add and manipulate their own information.